SET THE SCENE: Start your trip with a visit to Rua Augusta, the pedestrianised boulevard in the Baixa district, the beating heart of Lisbon. 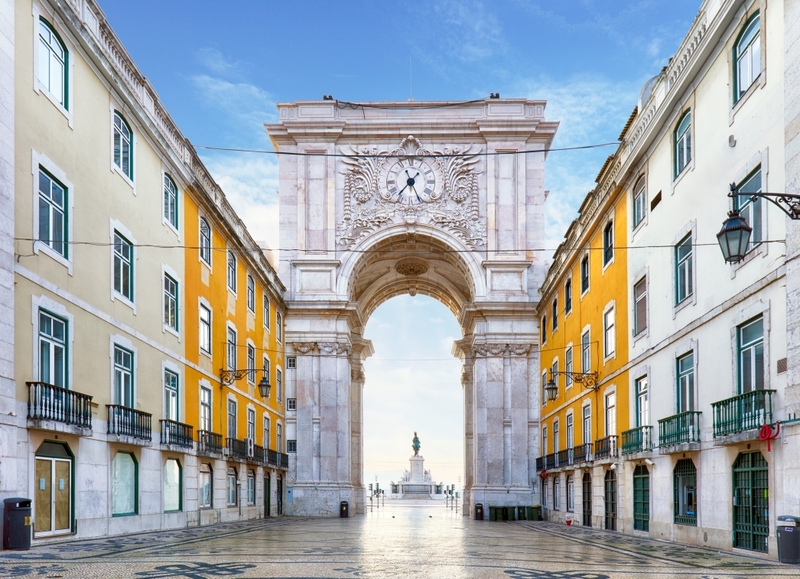 The leisurely stroll through the elegant Rua Augusta Arch out to the riverfront Praça do Comércio (Commercial Square) is sure to put you in the holiday spirit. SKY HIGH VIEWS: Walk to the water’s edge and look back to admire the exquisite symmetry of the plaza and watch the iconic Tram 28 rumble past. For a picture-perfect panorama of the plaza and beyond, take the elevator to the top of the Rua Augusta Arch. If you’re interested in the city’s rich history, the nearby Lisbon Story Centre is worth a visit. 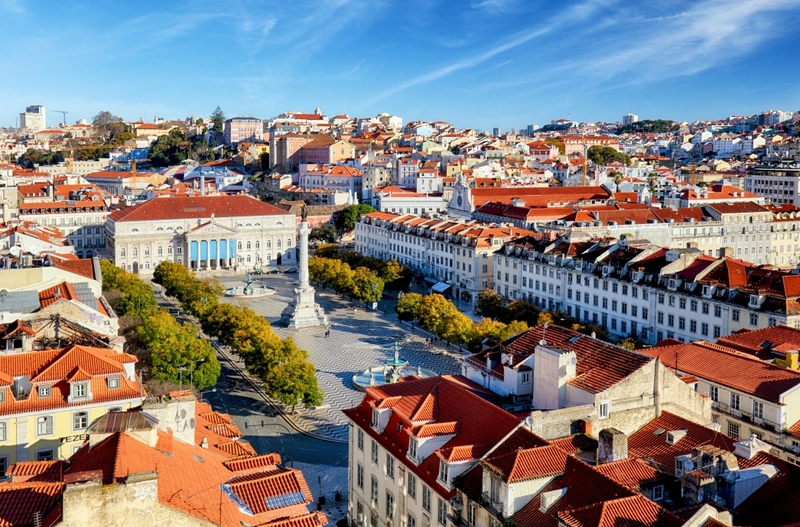 CHERRY SHOTS: The stylish Rossio Square lies on the far side of Rua Augusta. Make sure to stop at A Ginginha, the historic hole-in-the-wall bar off the east corner of the plaza. 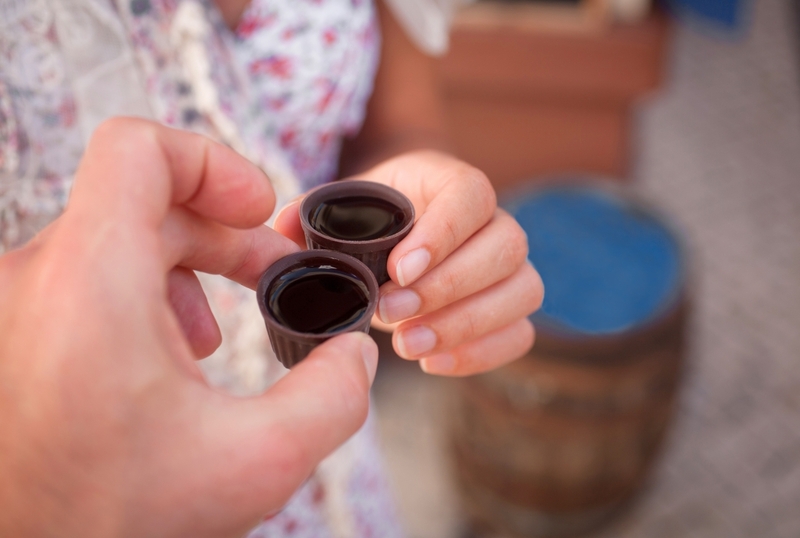 Enjoy a pip-spitting shot of the local cherry liqueur (€1.40 a pop) and a laugh with the locals. COFFEE AND CALM: Right around the corner you’ll find the Igreja de São Domingos, one of Lisbon’s prettiest churches. Pop in to see its pink-hued ceiling and soaring columns, and catch a few minutes of calm in the buzzing capital. Step away from the tourist thoroughfare to Fabrica de Nata for great value coffee and pastries. SANTA JUSTA LIFT: Take a spin up the 19th century Elevador de Santa Justa and enjoy more sweeping views across the terracotta-tiled city from the viewing platform. LIVING HISTORY: Follow the walkway across to the beautiful Carmo Convent and Archaeological Museum. Find a shady perch on the steps inside the entrance to take in the gothic arches reaching up to the blue skies. Pop into the museum to see an incredible array of artefacts dating back to the first century. Look out for the mummified boy and girl from 16th century Peru – faces that will stay with you long after you leave Lisbon! MUST-VISIT BAR: Don’t miss Topo Chiado, the chilled-out terrace bar at the back of the convent. Order a cocktail, hop on a sun lounger and catch some rays right in the heart of Lisbon. 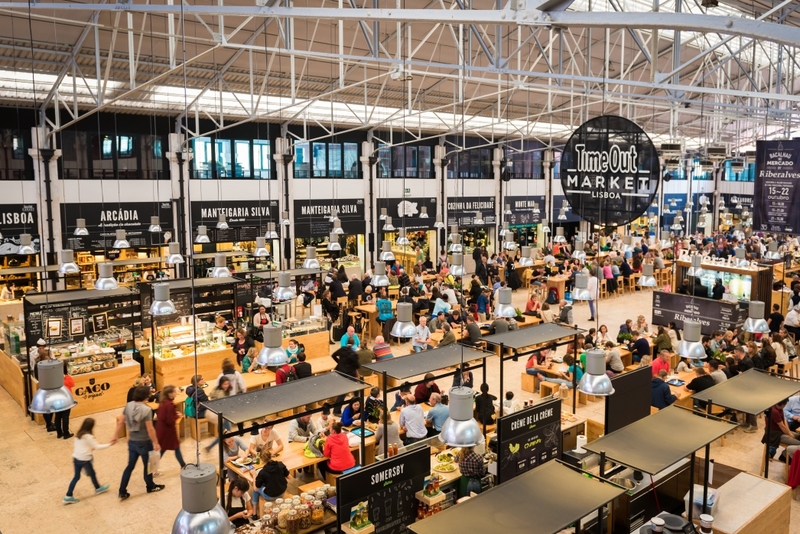 TIME OUT MARKET: This gourmet food hall in the Mercardo da Ribeira at Cais do Sodré showcases the best of Portuguese and international cuisine under one busy roof. More than 40 cherry-picked restaurants, bars and shops fill the sprawling market. Sample Lisbon’s incredible seafood at Marisqueria Azul, try fried croquetes from Croqueteria and don’t miss Manteigaria for a melt-in-the-mouth pastéis de nata (custard tart) on the way out. 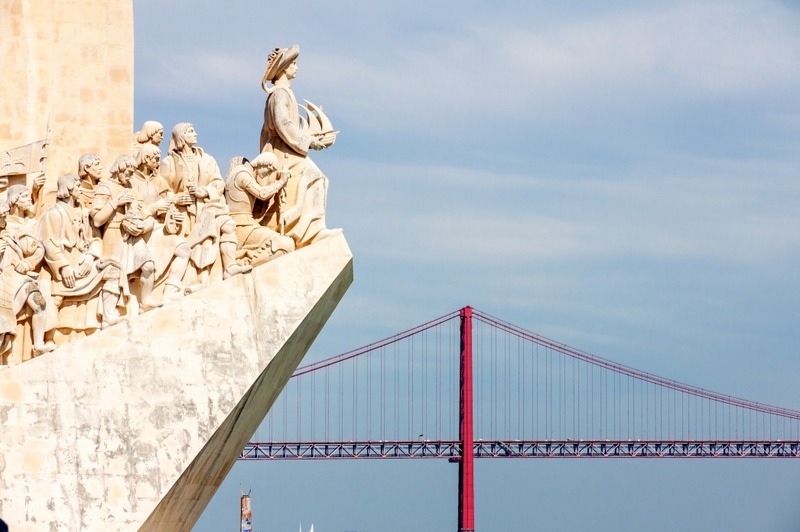 See a different side of Lisbon with a trip to Belém. Sitting pretty at the mouth of the river Tagus, the delightful district is home to some of the city’s leading landmarks. 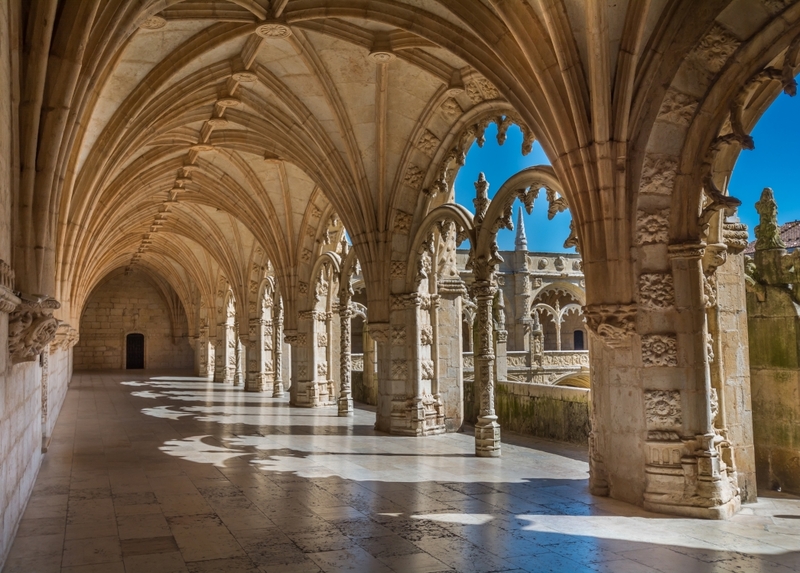 THE JERÓNIMOS MONASTERY: The is one of Lisbon’s must-see attractions. There will be a queue, but the UNESCO-listed 15th century monastery is certainly worth the wait. Wander through the cloister and prepare to be dazzled by the intricate design of the rich cream pillars peeking out against the terracotta roof. Don’t miss the mesmerising blue and yellow tile mosaic in the former refectory. STEP BACK IN TIME: Head to the upper choir for the best views of the Church of Santa Maria and its magnificent stained glass windows. Within the church itself you’ll see the tomb of celebrated explorer, Vasco da Gama. 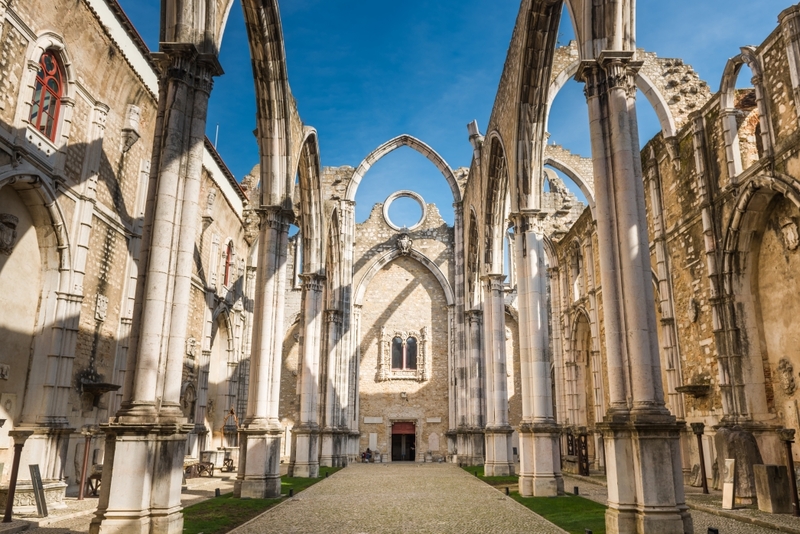 Continue around the upper cloister and spend time at the impressive ‘A Place in Time’ exhibition chronicling the monastery’s 500-year history and its context within Portuguese and world history. 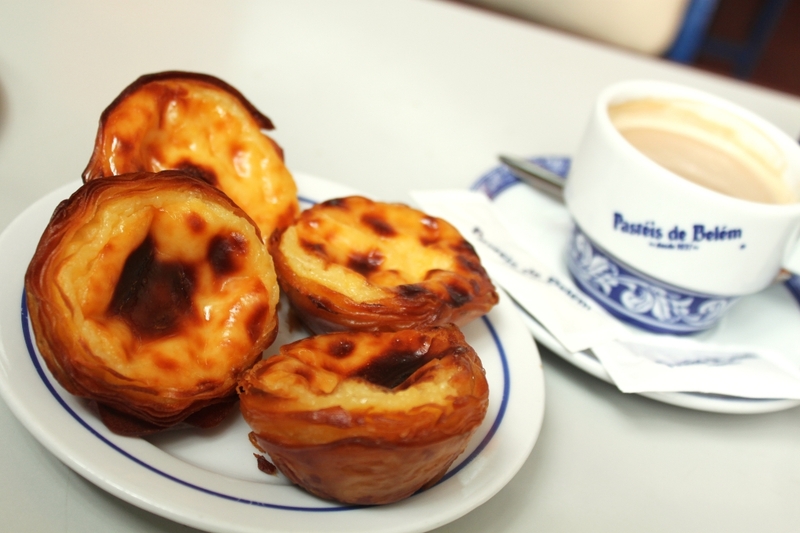 PICK-ME-UP TREAT: Pastéis de Belém, home of the original pastéis de nata recipe is a short stroll from the monastery. You’ll spot the iconic blue and white tiles in the distance. Grab a table in the mighty 400-seat café and enjoy excellent coffee and a mouthwatering pastéis de nata (or three!). The combination of the warm, crispy pastry and melt-in-the-mouth custard is to die for. Sprinkle with cinnamon or icing sugar and enjoy! SEA VIEWS: Make your way through the park to the beautiful Belém promenade. There you’ll find the Padrão dos Descobrimentos (Monument to the Discoveries). Take the escalator to the top for sprawling views of the monastery, the April 25 Bridge and the colourful Lisbon cityscape. Then sit on the riverbank with a chilled glass of vinho verde from the charming local wine vendor, Wine with a View. A little further along the promenade you’ll stumble on the fabulous five-star Altis Hotel. Stop in for a relaxing afternoon snack in the chic riverfront Bar 38º41′. Watch the world sail by as the sun goes down. DINNER WITH A VIEW: Dine under the April 25 Bridge at 5 Oceanos and enjoy a feast of traditional Portuguese fish dishes in a truly special setting. Try the complete sea platter or sample the garlic prawns and grilled seabass. SLEEP: The Sana Reno Hotel is the perfect place to call home for a couple of nights. Spacious rooms, comfy beds, welcoming staff and a rooftop pool await. A five-minute walk takes you to São Sebastião metro station – that’s if the nearby Zara or El Corte Inglés don’t tempt you en route. 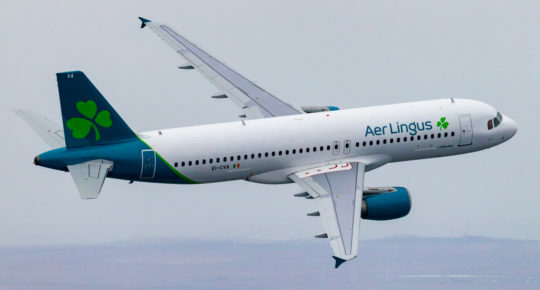 GETTING TO LISBON: Choose from daily Aer Lingus flights from Dublin to Lisbon. 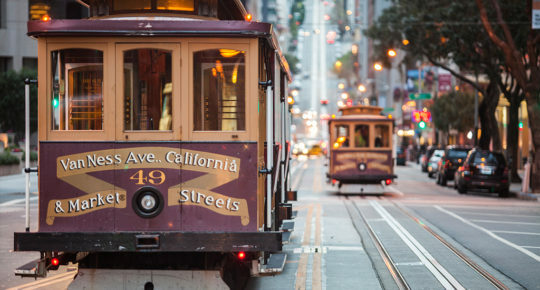 Take the metro straight from the airport or a fifteen minute taxi will get you to the centre of town. Download the mytaxi app before you arrive for best value transport. 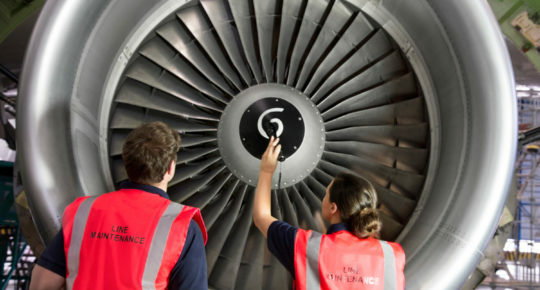 Update: from October 2018 you can fly our new twice-weekly direct service from Cork to Lisbon! 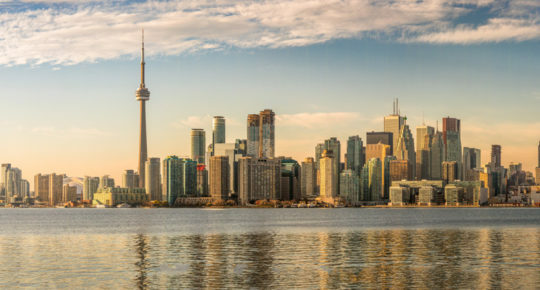 Planning your next city break? Check out Europe’s Best Christmas Markets for 2017 or read our 48 hour guide to Amsterdam.